20-0, LIS CHAMPION! 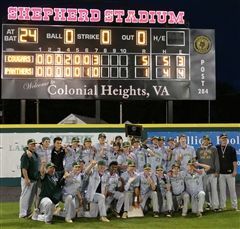 VISAA CHAMPION! Collegiate's boys placed 3rd in Division I.
Collegiate's girls placed 3rd in Division I. The following athletes received awards during the evening program on Tue, May 24, 2016.